Sometimes when getting home from work you just want to eat, but instead of calling for takeout you can make a quick meal. 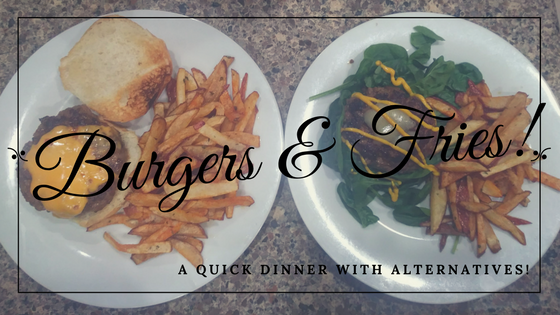 One of my quick go to meals is burgers and french fries. 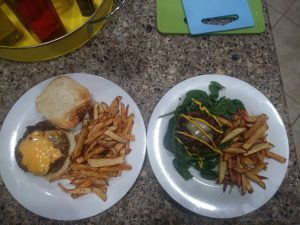 Without a bun and fewer fries, I am able to have a lightish dinner while still giving my husband his necessary calories. 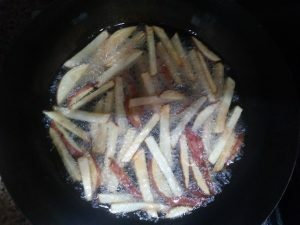 To help lower the calorie count, even more, I suggest baking your fries instead of frying them. 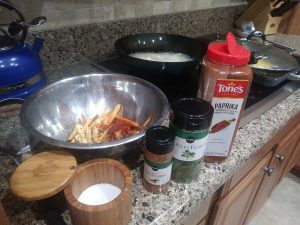 My burgers and fries have the same seasonings, so it’s easy to keep track of everything and it means fewer items to assemble and keep track. Remember this is supposed to be an easy dinner. 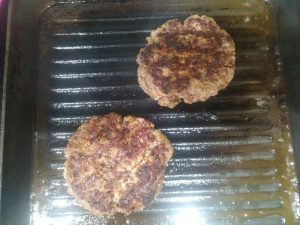 This is the base recipe for burgers, remember you can always add on top by putting anything on them. The world is your oyster! Either toast buns while burgers are cooking or after burgers are finished cooking place bun face down on the skillet and cook for 1 minute on medium high. Assemble and top burgers as you wish!